Holy Cow! It’s going to come alive and try take over the world!!! Actually, it’s just the R.A.T. 7 gaming mouse, but I think Mad Catz has done a TON of things correctly with the design and marketing of this mouse, and their work is worthy of a quick case study. As a side note, anyone who knows me knows that I’m addicted to computer peripherals, and that my love for mice is almost unparalleled (I’m currently rocking this baby and loving it). The features. This goes without saying, so I’m not going to dwell on it. The look. Does the mouse need to look like it does in order to perform its function? There are some requirements (It needs to be in a shape that works well with a hand, with buttons somewhat located near where your fingers will end up), but nothing says it has to look like a cyborg hunter. The fact of the matter is that this mouse is made for gamers, so it needs to look like something that would appear in the next episode of Star Wars. Mission accomplished. The website. CHECK IT OUT HERE!!! Again, you’re marketing to gamers who are intimately familiar with the webernetz, so you cannot skimp on the website! Once again, Mad Catz delivers. They have links to their products, blog, downloads, support, and contact at the top (which is somewhat expected, but the blog is a nice touch); they have a header that scrolls through pictures, they have an interactive 360 view of the mouse also in the header, they have their awards displayed, they have nice, big pictures, they have a sub heading with features, tech specs, a photo gallery and a “buy now” button (NICE!). Everything is clear, concise, bulleted, and perfectly aimed at the target audience. What do you think of Mad Catz’s job with the RAT7 Gaming Mouse? What could they have done better? Why do companies (in an attempt to stand out or be different) intentionally misspell their names? Today’s example is a company named “Bed Gard“…That’s right…”Bed Gard” (I’m even getting red squiggles as I type this…which is driving me CRAZY). The actual definition for “Gard” is: “a département located in southern France in the Languedoc-Roussillon region. It is named after the river Gardon (or Gard)”…nothing even close to the definition of “guard”. If I was, in fact, looking for a bed guard for my truck, I would have to accidentally misspell my search to arrive at the page for this product…This is not how you make sales!!! So, why do companies keep doing this time and time again? Below is a picture from theaxeeffect.com. First of all, the site takes considerably longer to load than the average website. I’m sure this is due to the necessity to load all of the features and that this is some attempt to make visiting the site more of an ‘experience’, but I’d argue that you could get the same effect going to dollarshaveclub.com (and I’d argue that Dollar Shave Club’s site loads faster, is simpler, and I believe it still provides more of an experience than just simply existing as a site on which you can purchase razor blades cheaply). Next, when you want to look for a product, you have to slide that little slider bar in the middle of the page from “What’s New” over to “The Goods”. The location of this slider bar is not intuitive, and it took a while for me to even notice it amid the chaos of the rest of the site (videos, buttons that bounce to features on Facebook, etc). 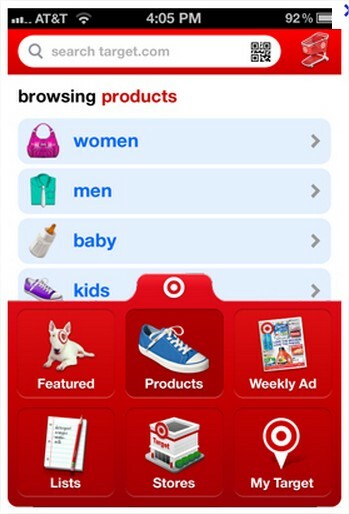 Once you do find the slider, and you bring up the list of products, the pictures are all incredibly small! I’m sure that Axe has invested some serious time and money into creating the designs on their containers, and the containers themselves, so why don’t they show them off?!? 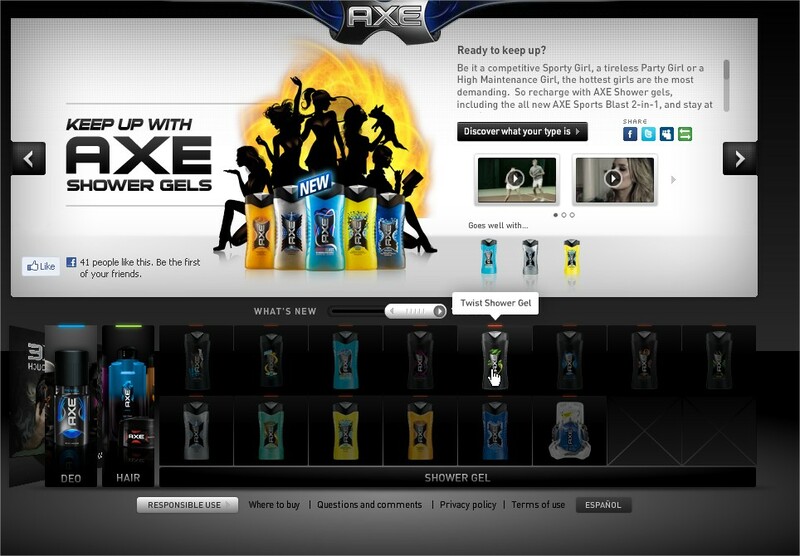 Also, I know which Axe shampoo I use, but it still takes some serious squinting and searching for me to be able to locate my bottle from the rest of the tiny bottle pictures on the website. Axe should take some notes from this article on mashable. Tip #1 for making your Ecommerce site more appealing – Pretty Products, Pretty Layout. Remember, you’re trying to sell men’s grooming products…not annoying videos. Company A had a ‘three-word-name’. For sake of illustration and anonymity, we’ll call this company “David’s Plumbing Company”. Going to “DavidsPlumbing.com” went to a competitor! Going to “DavidsPlumbingCompany.com” also went to a competitor! The actual website was in this format “DavesPlumbCompany.com” – you had to know to shorten the first and second words to get to their website!!! This essentially means that, if your customer thinks you’re at “DavidsPlumbing.com” or “DavidsPlumbingCompany.com” (that is the name of your company, after all), that you are essentially handing these folks off to your competitors!!! Company B had a pretty good name. We’ll call this “Bob’s Law Firm” (again, these names have been made up for purposes of illustration! ), but they insisted on going with a TLA (Three-Letter Acronym…get it?). Therefore, they became “BLF”. Issue #1: This is where I, again, have to make reference to one of the most brilliant marketing works of all time, Positioning (Buy it, read it, love it). You should not use an acronym for your company name unless you are incredibly well known, or your acronym is substantially more convenient to use than your company name…and even then it is a stretch. An acronym simply does not hold the same place in one’s mind. It does not conjure up any images/memories unless you are so well established in the prospect’s mind that they have these memories readily available in great supply. Issue #2: “BLF.com” (I repeat: names are made up!) belongs to a competitor!!! What are the odds?!?! To alleviate this situation, Bob’s Law Firm went with “BLFFirm.com” (that’s right…say it out loud: “Bob’s Law Firm Firm”). To make matters worse “BobsLawFirm.com” is available! Your customers would not naturally know to look for “BLFFirm.com”, as that web address does not even really make sense, so, again, you are handing potential customers over to your competition!!! If no one can find your website, how can anyone buy your product? If your competitor is easier to find (and, in a lot of cases, the customer may not even realize that it’s your competitor), why would your customer put in the extra effort to find you? Company names have always been important, and company websites are increasingly becoming expected and downright necessary. You may have a dream name in mind, but you need to ensure that it plays nice with the web, or you will be losing massive amounts of sales for an incredibly inane reason! Now, clicking the “Contact” tab on this page sends you to the correct contact page, but this is a good example in how simple proofreading/testing should not be undervalued! Obviously, websites are of utmost importance (and have been for the past several years), but, while they may appear to be so commonplace and “dime-a-dozen” (there are pages and pages of individual Cottage Inn websites that come up on a simple Google search), we need to ensure that each one is an example of the quality of the company for which it represents. Even in this instance, the “Cottage Inn” site which I originally visited was not main corporate site, but its bad link to the corporate site reflects negatively on the entire company (especially since the bad link was from one of the five main options at the top of the page)! Proof read your websites and test the links, and then have a friend proofread and test out your links, and then have an enemy proofread and test your links! Try to do what your customer will do (which may not always be what you think that they’ll do), and make sure you can do it without any errors! …and, lastly, when you do have to have your website throw an error, make it fun like this one! I believe this study 100%!!! I can’t think of anyone who doesn’t find or use companies, products, or services without giving them a thorough “online background check” and verifying that they have positive online reviews. 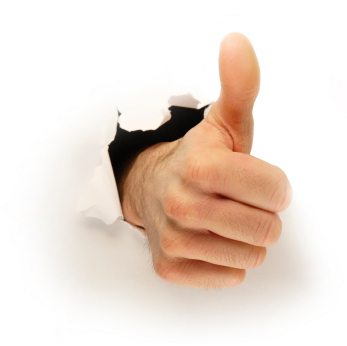 Indeed, if you have a business, make sure your website has a spot for ratings/reviews, and make sure that your products/services are such that you’re reviews are overwhelmingly positive!!! The findings of this year’s Local Consumer Review Survey (2012) show a positive shift in consumer trust and appreciation of online reviews. Approximately 72% of consumers surveyed said that they trust online reviews as much as personal recommendations, while 52% said that positive online reviews make them more likely to use a local business. This online survey was conducted between 15th January – 1st March 2012. A set of 18 questions were put to a survey panel of 4,500 local consumers located in US, Canada and UK. We received 2,862 respondents.